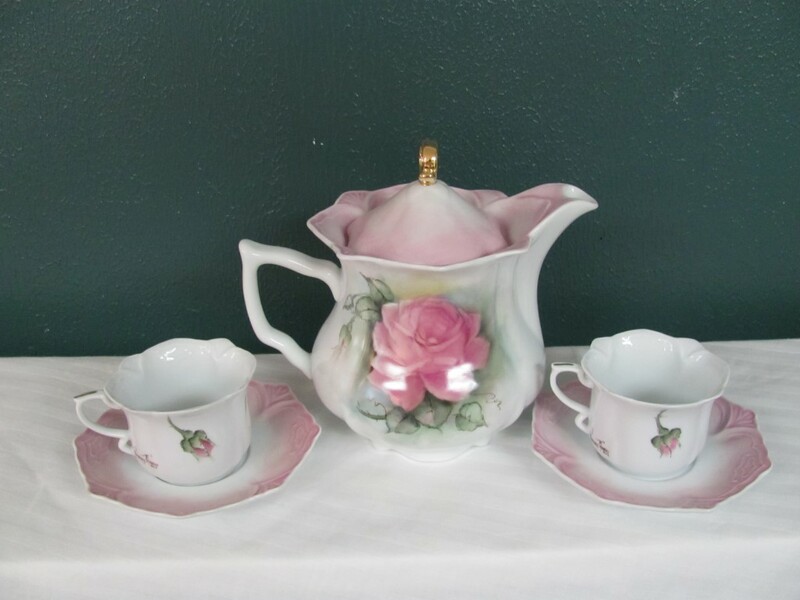 Home / TEA POTS, TEA SETS, CHOCOLATE & COFFEE SETS / R.S. 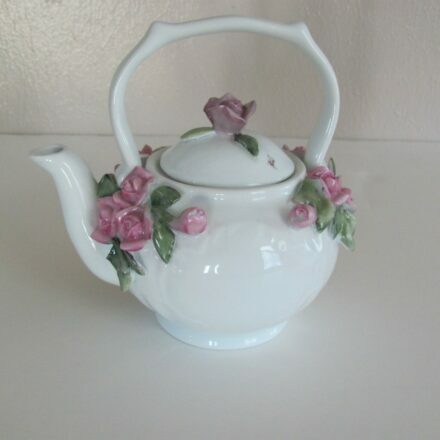 Prussia reproduction Tea Pot 32 oz. R.S. 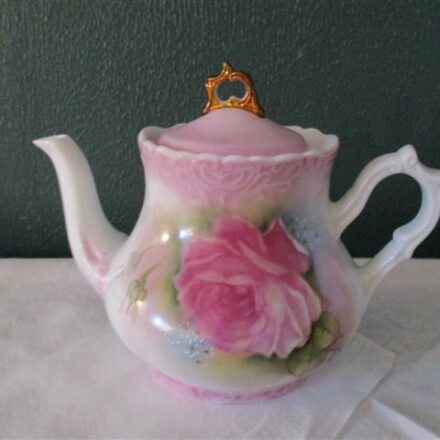 Prussia reproduction Tea Pot 32 oz. R.S. 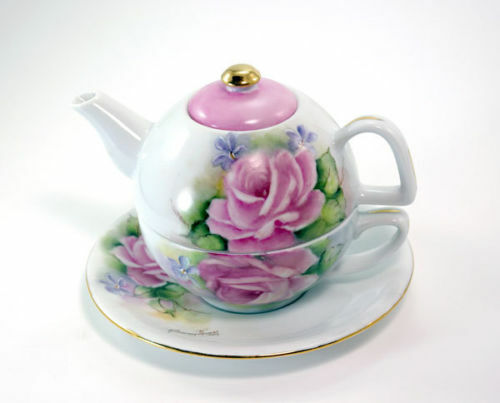 Prussia reproduction tea pot 61/2″, 32 oz. 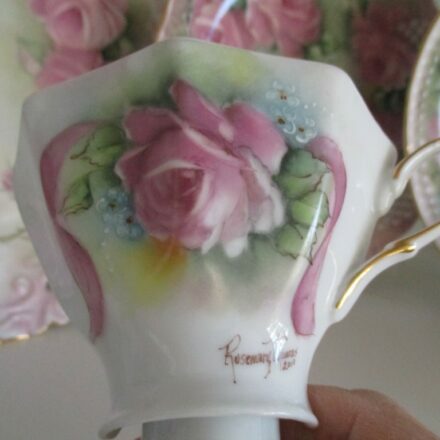 beautiful unique opening with lid curlicue and also a very different handle to make it distinct. 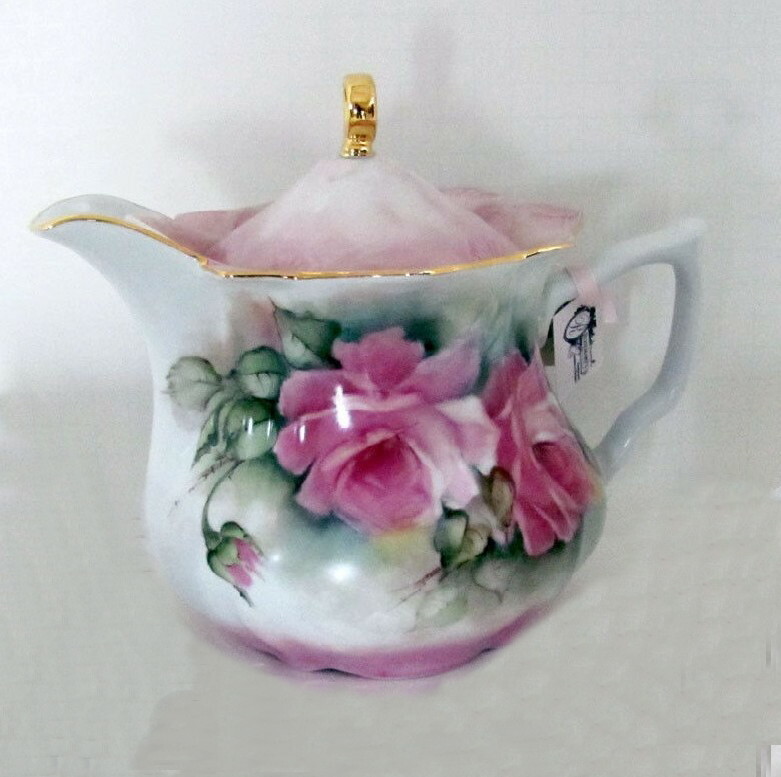 distinguishing it from the other tea pots, hand painted in tea roses with rose pink tones, design on front and back Very attractive.